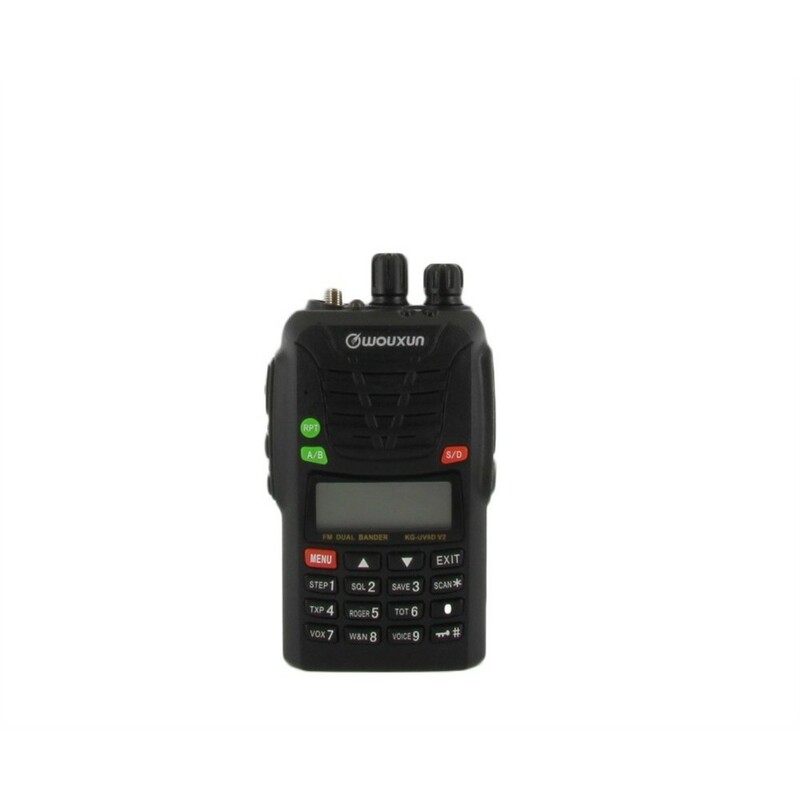 The KG-UV6D features 199 programmable memory channels with CTCSS and DSC Scan, priority channel scanning, and 1750 Hz burst tone. It's bandwidth selectable, allowing you to select wide or narrow bandwidth at the press of a button. 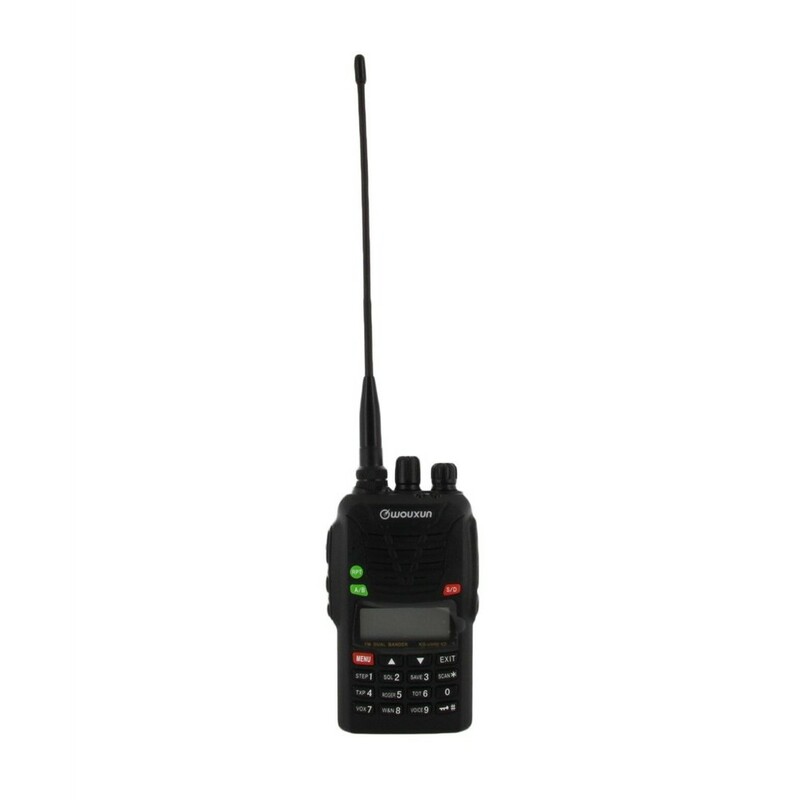 Bands can be freely set on the same channel for VHF TX-UHF RX or UHF TX-VHF RX. 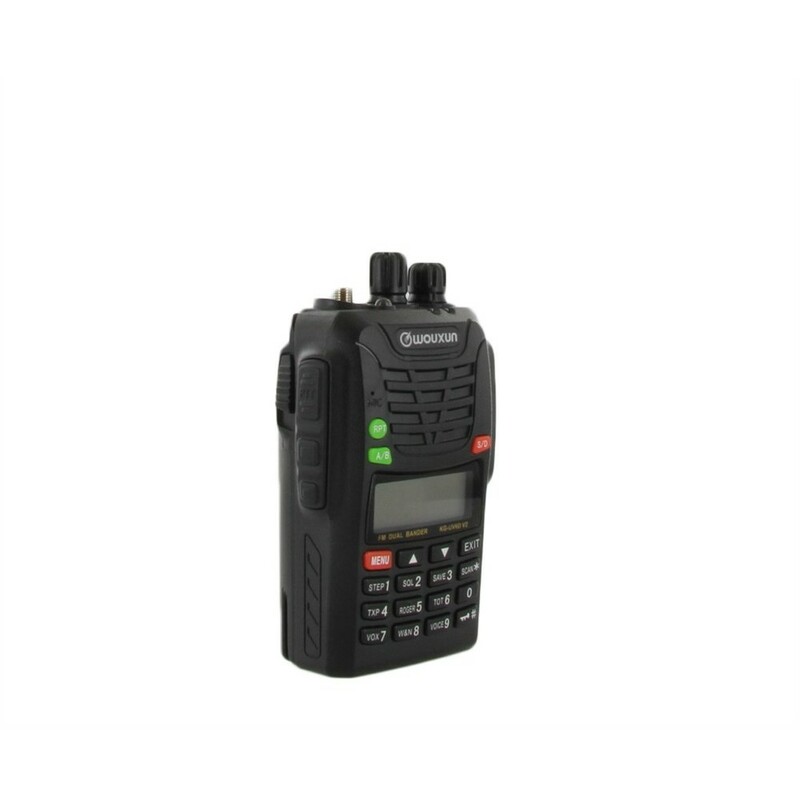 It's power selectable as well, giving you the option to transmit in high or low power mode. 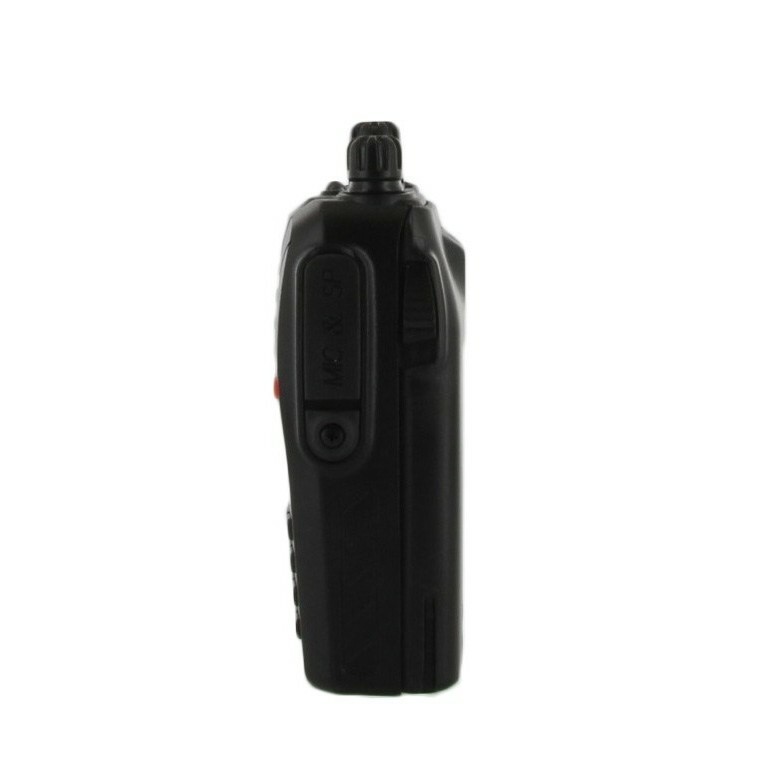 The UV6D is also rated IP55 water resistant, a plus when taking it with you outdoors. 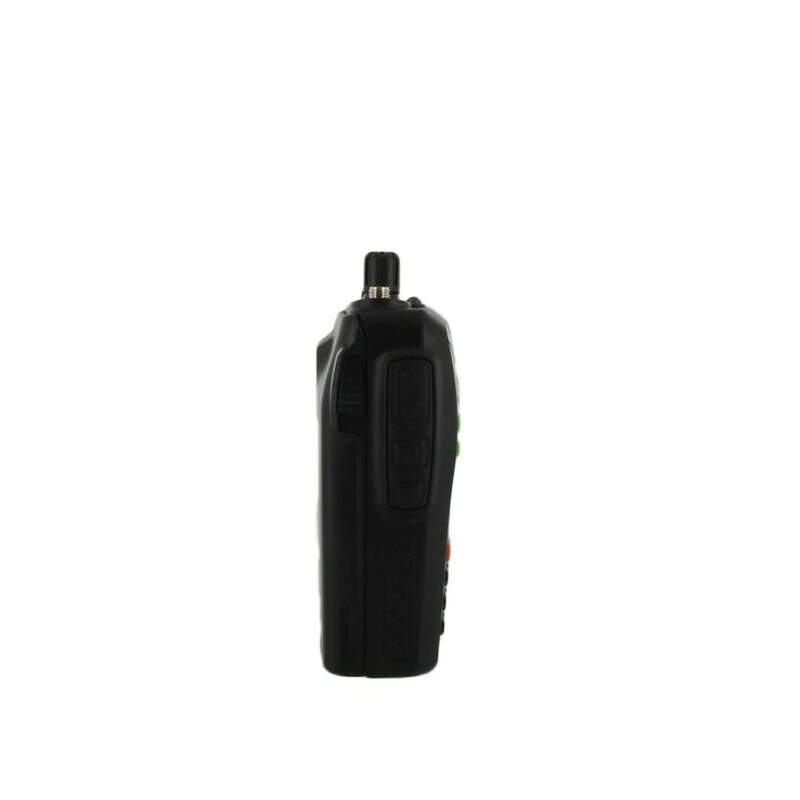 The KG UV6D is powered by 7.4v 1700mAh (12.58Wh) Li-Ion battery pack for many hours of operation. Power Saver Mode helps increase efficiency and preserve battery life. 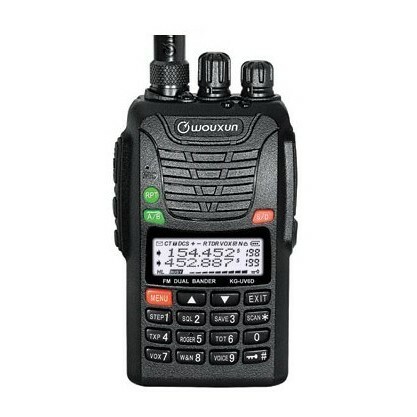 The Wouxun KG-UV6D comes with a rechargeable Li-Ion battery pack, belt clip, removable antenna, wrist strap, desktop charger, AC cord, owner's manual and a one year manufacturer warranty from Wouxun. Rugged and easy to hold. Easy to program with computer. 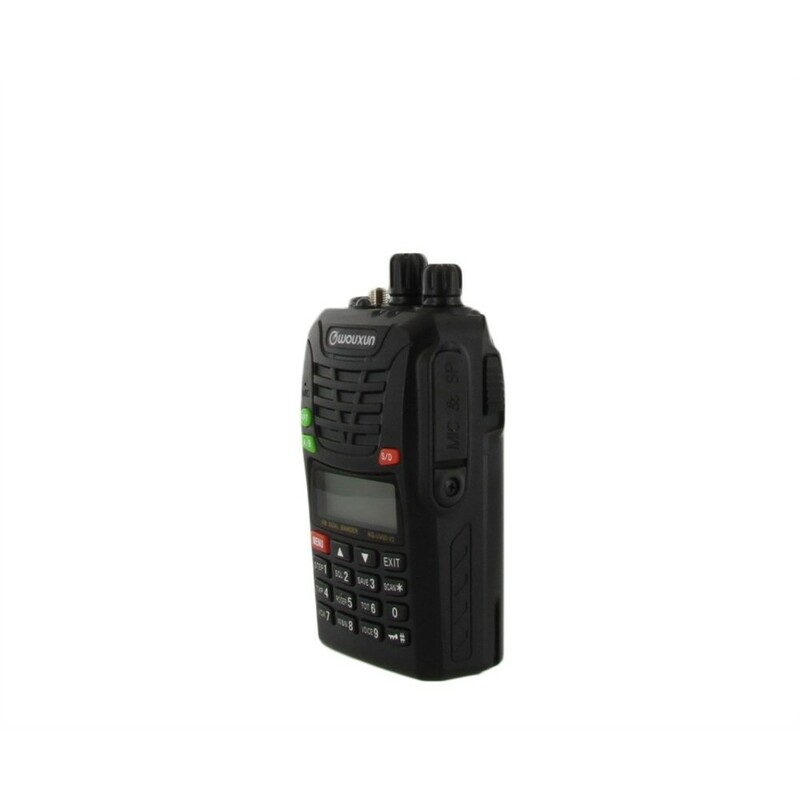 This radio replaces a Yaesu Vertex VX-10 (2000 vintage), The TX and RX performance are about the same. The "high gain" antenna which came with it is not bad, but a 1/4 dipole is much better for TX. The keys from manual programming are useful to the expert, but are too easily accidentally pressed, throwing the radio into unexpected modes. Get the programming cable to program in your frequencies etc. using a computer. Programming it from the keyboard is possible, but frustrating. The manual is detailed, but the English translation is poor. I have had this for several months. 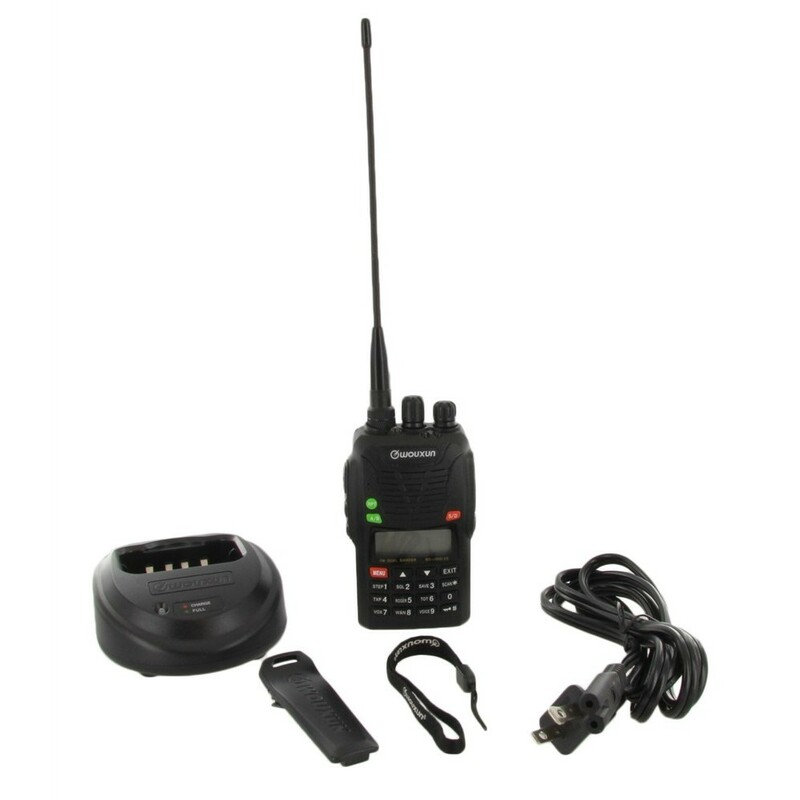 I have used it on several searches and at the Fairgrounds and the Animal Disaster Response Team. It performs very well and is light to carry. 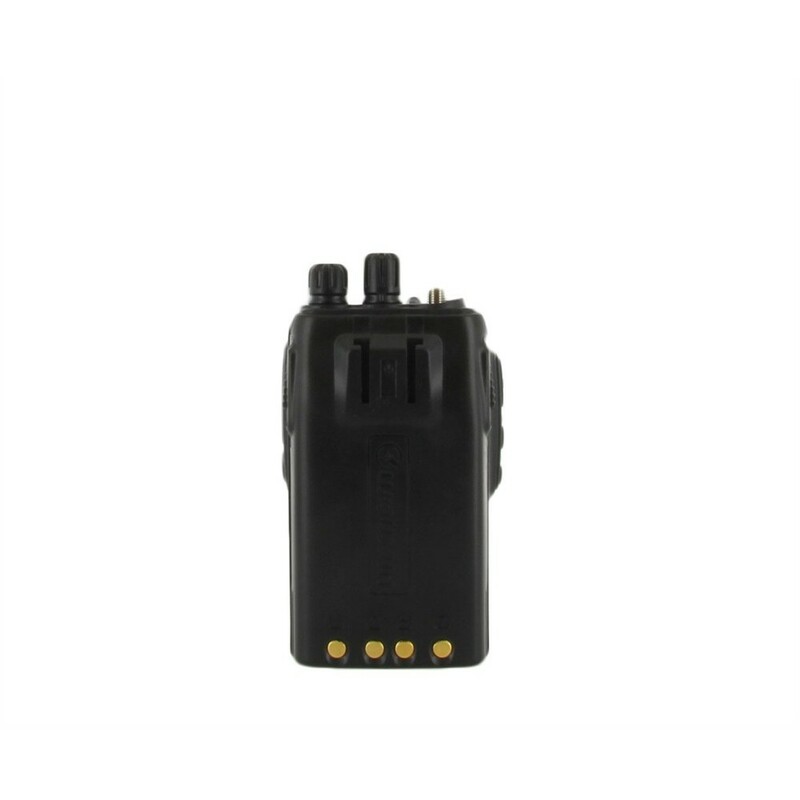 Used with a speaker mic or an earbud mic it is great in noisy situations. This replaced a KG-UVD1P only because the 1P only had 5.0 khz steps. 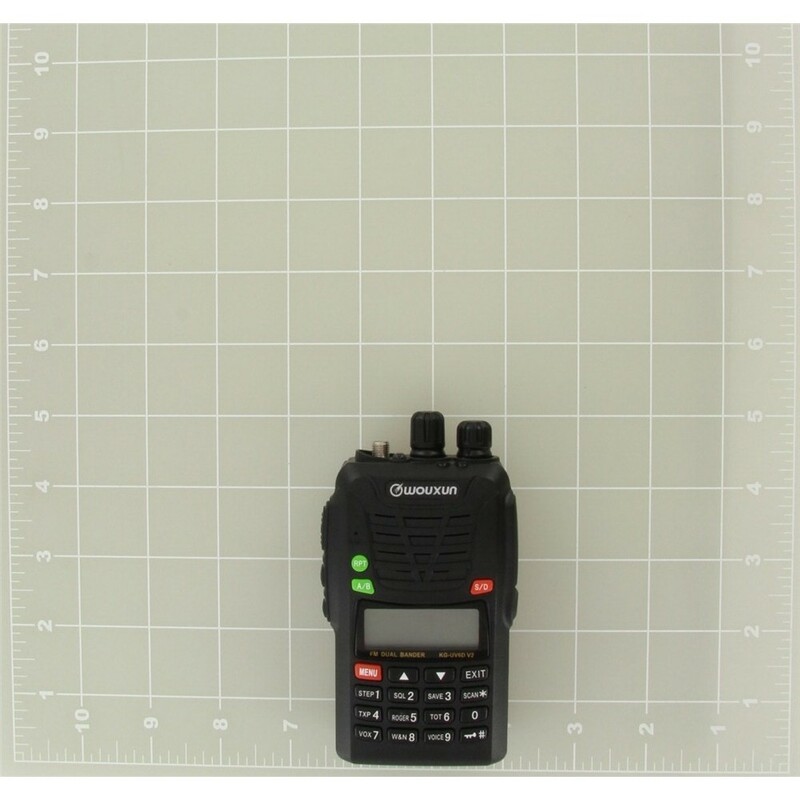 The D6P has 2.5 khz steps. The one design change that I don't like is when the key lock is on it doesn't lock the Channel selection knob. On the D1P it did. I solved this by removing the knob and just using the shaft. 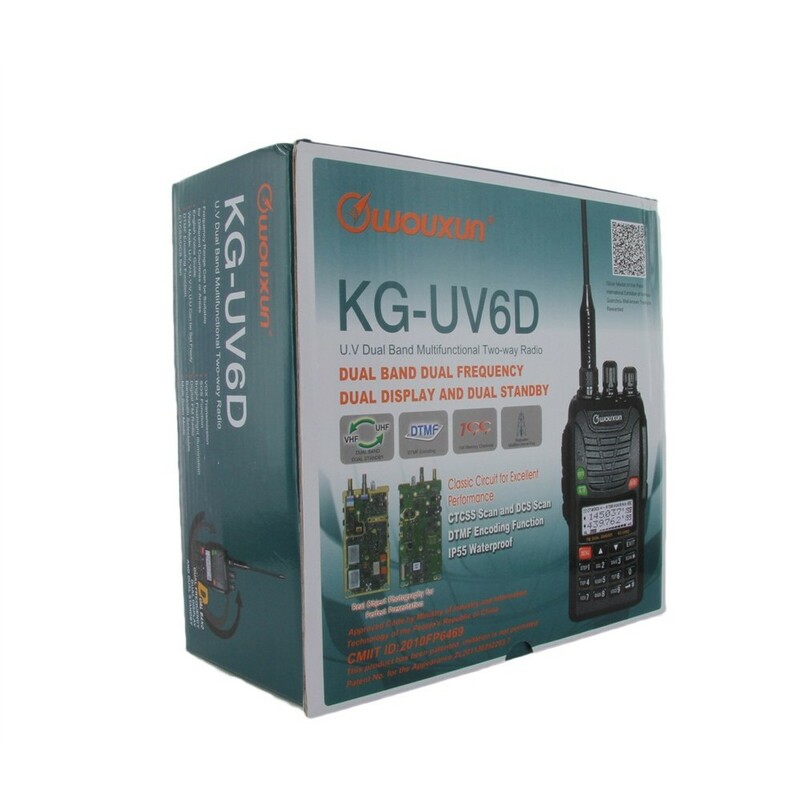 Our Wouxun KG-UV8D demo units have arrived!